Wes, the Lombardi hologram sideline reaction to all the lasers and replay changes was one for the ages. It made my day. I’ll admit I had a little spring in my step leaving the office Friday night after writing that. I was pretty proud of that line. Good morning! Great piece on the new coach. I think our fan base seeks to connect personally with players and coaches more than any other team. But let’s remember: This is the NFL and an organization that’s gotten used to winning. A nice-guy coach with a good heart isn’t enough. W’s and championships is how we measure. Thank you and trust me – Matt LaFleur is no pushover. He’s a competitor, first and foremost. Randy Awrey told me LaFleur used to get mad at him if he took him out of games at Saginaw Valley State regardless of how far ahead the Cardinals were at the time. His high school coaches also talked about how much he absolutely hated losing. LaFleur has his grounding, but make no mistake – he’s here to win. Thank you to Wes for the insightful and enjoyable article about the new Packer coach. I didn’t get much beyond the first couple of paragraphs when a rush of recognition and nostalgia took over! My husband and I are graduates of Central Michigan University, as is my brother, who played on the national championship team with Denny LaFleur. My father, now 90, was a coaching colleague of Bob Barringer’s at Kalamazoo Central High School. Thanks for guiding our trip down memory lane! What a small world. I’m glad you enjoyed the story. Green Bay is hosting the NFC Championship Game on Wednesday in minus-20 degree temperatures. Do they play it? Do the linemen wear sleeves if they do? I don’t know what the league would do in 2019. My best guess is it probably still gets played. It could play around with the start time, if that helps, or move it back a day. It’s a good question. And you’ll never get the linemen to agree to wear sleeves. They’d just as soon let their arms fall off. How involved does a defensive coordinator get in the scouting and draft process? 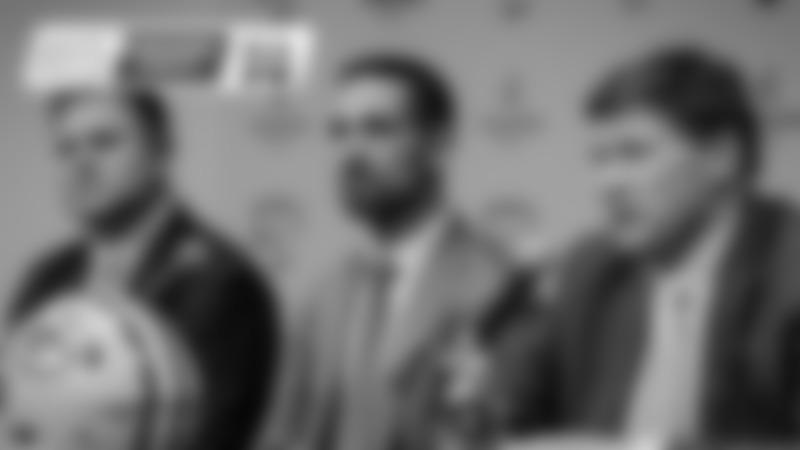 Do they look at the draft crop when looking for a specific player needed in the scheme and say, "That's who I need," or is it not as specific? Scouts scout and coaches coach, but there’s constant conversation between both sides. I think back to Dom Capers’ first year in 2009. 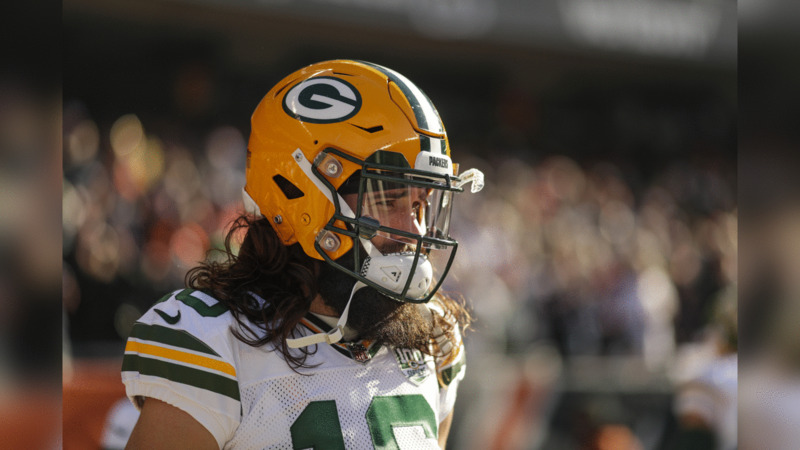 It’s no coincidence Ted Thompson used Green Bay’s first-round picks on arguably the two biggest positions for a traditional 3-4 defense – nose tackle (B.J. Raji) and edge rusher (Clay Matthews). Am I crazy or does the draft line up fairly well with the Packers’ needs? I am hoping a top 20 defender drops to 30. Not at all. I’m not educated enough on the first-round prospects to tell you right now who is going to be there at No. 30, but I like how these two first-rounders line up. Brian Gutekunst has a lot of flexibility depending on how the board falls on April 25. How great would it be for cap reasons (and for winning) to have both first-round picks be solid starters and have the extra fifth year first-round rookie deals can add? It’s valuable. I’m sure the Packers will exercise the fifth-year option on Kenny Clark this offseason because that extra year is so valuable when trying to negotiate a long-term extension. If the Packers draft two players and hit on both, that’s a game-changer. Do you think that the team's need at TE justifies taking one with the second pick in the first round? I think I’ve answered this question every offseason since I started covering the team and I’m going to give you the same answer I always do – I’ll believe the Packers drafting a tight end before the third round when I see it. I’m not saying they won’t, but I’ve wasted a lot of breath on this topic in the past. Can the Rams’ pass rush get Tom Brady off his mark? They have to. You cannot let Brady get into an early rhythm because you know he’s going to be playing at a high level in the fourth quarter. LA’s defense has dominant potential, but it’s been up and down this year. The Rams’ defense needs to be at its best on Sunday. I just saw a video breakdown of the missed PI. In it they show a missed facemask and hold as well as the pass being tipped. Missed penalties aside, doesn't the tipped pass make the no-call correct? But the tip doesn’t allow the defender to make helmet-to-helmet contact with the receiver. The best ref is the one you don't notice. And unfortunately it’s been a while since I haven’t noticed one. I find it weird that nobody has picked up on Bill B. taking a misfortune and turning it to his advantage. The network showed him showing the ref a pick play on his tablet, the ref wanted no part in it. BB flipped the tablet like a Frisbee over the bench. Used similar pick play in OT to Edelman and the DB put his arms up saying to the refs, “Where’s the pick?” The refs were consistent. As a coach or athlete, that’s the best we can hope for in officials. As fans, we just want it to go our way. Consistency is king, and if that’s how the refs are going to rule, then you play to those conditions. So how do you think roughing-the-passer penalties, PI and fumble/no-fumble calls are going to go next year? They basically picked Clay Matthews to drive a point about how serious they were on safety. Do you see a similar thing happening with PI and fumble/no-fumble calls? Will they make phantom PI calls like phantom roughing-the-passer calls? I sure hope not because the NFL went way too far with the landing of a player’s body weight on a QB. Skycam dropping replay penalty flags? Meh...Skycam dousing guilty player in blinding yellow spotlight laser? Now you're talking, Cotton! Now that it's Super Bowl week, I just realized I haven't watched a Patriots game in over eight years. I kind of look at the Patriots as the San Antonio Spurs of the NFL – fundamental, disciplined and effective. They’re not always must-see TV, though. The most fun I had watching them were with Corey Dillon in 2004 and Randy Moss’ 23-TD season in 2007. The Packers started the decade with a Super Bowl win and many believed the next 10 years would be one of the most successful in franchise history. If the Packers win the Super Bowl this year, would you consider the 2010s a success or failure based on the potential? Success. An overwhelming success. How many teams have won two Super Bowls in the 2010s? Do you consider the other 31 failures? Hello gentlemen! I was curious as to who makes the decision on the Super Bowl MVP? If there are multiple players that are deserving of the award, is there a committee that makes the decision on who wins? In response to Brian, from Shertz, TX, regarding Desmond Howard winning MVP of SB XXXI. One way to look at it is to consider how many opportunities he had to affect the game. He had four kickoff returns for 159 yards and a TD. He had six punt returns for 90 yards. With only those 10 touches, he was extremely effective in changing the game. He made the most of his limited opportunities. Favre could’ve won the Super Bowl MVP and I wouldn’t have argued with it. Heck, the same could be said for Reggie White. Yet, I’ve never had a problem with Howard getting it. I was only eight when that game was played, but I’ll never forget Howard’s impact on the game. He tilted the field in Green Bay’s favor. It was an iconic performance. Why do you think Rodgers won't participate in Pro Bowl activities? It’s not unusual to see accomplished veterans sit. While Drew Brees has kind of been the exception to that rule, Favre did the same thing throughout the second half of his career. In any case, the last four times Rodgers has been voted to the Pro Bowl he’s also been playing through some type of injury. Hopefully, he’s missing the game for a different reason next year. Speaking of past draft picks, I've always wondered what the current reaction would be in a situation similar to the Brett Favre trade. A first-round pick for a third-string quarterback that you also waived the healthy physical to finalize the trade (which he failed). I get that he was a high second-round pick the year prior and obviously the outcome is phenomenal, but in the social media world and 24/7 news cycle, I can't help but be curious. I believe successful NFL GMs must make a call at least one time where they trust their scouting instinct against better judgment – even if means putting their job on the line. Ted Thompson did it when he stuck with Aaron Rodgers over Brett Favre in 2008. Wolf’s crossroads came on Feb. 11, 1992, when he traded one of the Packers’ two first-rounders (19th overall) for an unproven QB with injury concerns. The rest was history. Overtime rules idea: after every play each team must remove one player from the field until there are either no players left or the game has been decided. Well, Lamar Jackson’s value just increased another two notches. I like Mike’s no-punting overtime. What if after each team gets a possession and the score is tied, possession flips...i.e., the team that got it second and just tied the game (or the game has no overtime scores yet), now gets the ball again with a chance to win it under sudden-death rules? I don't think that's the way it works now. Seems like that advantage counteracts the other team getting it first and being able to score a TD and win. It’s a solid point, but I also have reservations about removing special teams from the equation. It’s a three-phase game and special teams are still very important. Look no further than how this past season went for Green Bay. I don’t know if I’d be in favor of something that removes that element. Are you surprised former Packers QB coach Tom Clements decided to return to coaching in the same capacity with the Cardinals? This really piqued my interest in that I'm from a UCLA family and will be following Josh Rosen's development under Clements’ tutelage. It doesn’t surprise me at all. Prior to his two-year sabbatical, Clements hadn’t taken a year off from coaching since he was hired at Notre Dame in 1992. Clements did great work with Rodgers and Matt Flynn. In Arizona, he gets the chance to work with another highly regarded QB prospect. I was surprised to see Mitch Trubisky make the Pro Bowl, albeit as an alternate. I know he is young and still has upside, but I rate him near the middle of the pack of NFL quarterbacks. Do you see it differently? Vince Young played in two Pro Bowls. I have absolutely no problem with Trubisky getting the call. Bruce from Bloomington wondered about getting rid of the Pro Bowl since it's “really not football.” I don't disagree with his sentiment, and I never watch the game anymore, but I believe the game is more for the players than the fans. The Pro Bowl weekend has tons of other events that cater to the fans, including the Skills Showdown, which I think is a refreshing way for fans to watch their favorite players. It's fun to watch them compete in new formats without any real consequences on the line. It’s a violent game that’s not really conducive to an All-Star game. However, I still raised my eyebrow a little watching the game turn into a two-hand touch affair, with Alvin Kamara, Saquon Barkley and Mike Evans playing defense. The game is not going anywhere, though. The league isn’t saying no to money. With so many people unhappy with the Pro Bowl and it being reduced to "flag football," the easy solution is to just make it an actual flag football game. Have the players rotate through the different spots every few plays or series. It would be more fun to watch giant grown men try and grab flags then feebly attempt to tackle each other. I’d take flags over glorified two-hand touch. 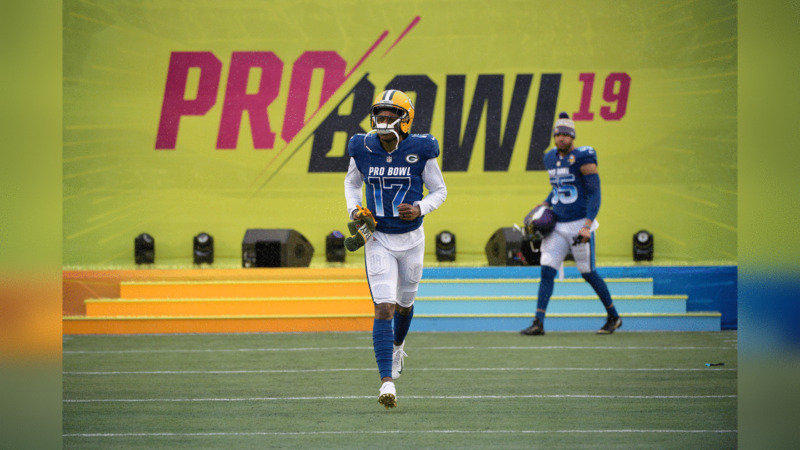 Can you ask the readers who wish the Pro Bowl was more competitive how would they feel if Davante Adams blew out his knee during the game making a competitive football move in a game that doesn't matter to anyone? If you are going to watch the game, you need to change your expectations because the Pro Bowl will not change its. As soon as I read your question, I immediately thought of Tyler Eifert, who injured his ankle during the Pro Bowl and hasn’t really been the same player ever since. His arrow was pointing up after catching 52 passes for 615 yards and 13 TDs in 2015. He’s played in 14 games over the past three years, with 48 receptions for 619 yards and six TDs. With all the talk of lasers, I'd like to point out the obvious fact that you can't actually SEE a laser beam until it contacts something. This is usually done with aerosols or smoke for the movies. So if you want a first-down laser, and a line-of-scrimmage laser, you'd essentially have to have smoke generators blowing smoke (?!) on the sidelines. So now we're taking the time-honored and hallowed game that we all know and love and are turning it into a laser light show…C'mon, people! No, you’d be able to see these lasers. They’d be like the ones in the Bond movies. No smoke required. Mike and Wes, I took Monday off so I could beat my snowblower silly while taking care of five driveways on my street. How was your Monday? Taking care of five driveways down the street? I think I need to move to La Crosse. My Monday consisted of Inbox and blowing my driveway. I got to hang out with my son a little, too. That was cool. Not this week. Stay warm, Wisconsinites.